This is Mercedes 126 Series 1981 1982 1983 1984 1985 1986 1987 1988 1989 1990 1991 1992 1993 Service Repair Workshop Manual. This manual contains full service and repair instruction used by mechanics around the world. All major topics are covered complete. You can find here Step-by-step instruction, diagrams, illustration, wiring schematic, and specifications to repair and troubleshoot your Mercedes 126 Series 1981 1982 1983 1984 1985 1986 1987 1988 1989 1990 1991 1992 1993. Written by the manufacturers, Mercedes 126 Series 1981 1982 1983 1984 1985 1986 1987 1988 1989 1990 1991 1992 1993 Service Repair Workshop Manual can easily help you with any repairs that you may need to do. Many people are scared to touch their cars because it seems difficult. This is only true when you do not have the resources and tools available for when that time comes! 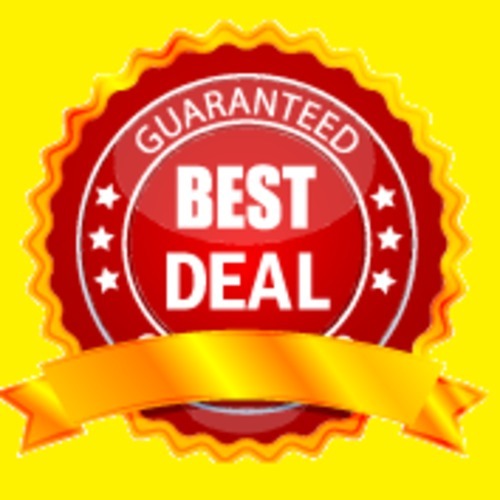 This Mercedes 126 Series 1981 1982 1983 1984 1985 1986 1987 1988 1989 1990 1991 1992 1993 Service Repair Workshop Manual will easily pay for itself on the first oil change, spark plug change, or air filter change that you perform! THIS IS NOT GENERIC REPAIR INFORMATION! IT IS VEHICLE SPECIFIC. THIS IS THE EXACT SAME MANUAL USED BY TECHNICIANS AT THE DEALERSHIPS TO MAINTAIN, SERVICE, DIAGNOSE AND REPAIR YOUR VEHICLE. Mercedes 126 Series 1981 1982 1983 1984 1985 1986 1987 1988 1989 1990 1991 1992 1993 Service Repair Workshop Manual is COMPLETE and INTACT as should be without any MISSING/CORRUPT part or pages. The Mercedes 126 Series 1981 1982 1983 1984 1985 1986 1987 1988 1989 1990 1991 1992 1993 Service Repair Workshop Manual includes pictures and easy to follow directions on what tools are needed and how the repair is performed. Just imagine how much you can save by doing simple repairs yourself. You can save anywhere from hundreds if not thousands of dollars in repair bills by using this repair manual / service manual. Many people buy this manual just to have it around for when the inevitable happens. Sooner or later, maintenance will need to be performed. Be prepared for it when it happens by simply purchasing this Mercedes 126 Series 1981 1982 1983 1984 1985 1986 1987 1988 1989 1990 1991 1992 1993 Service Repair Workshop Manual for later use! Mercedes 126 Series 1981 1982 1983 1984 1985 1986 1987 1988 1989 1990 1991 1992 1993 Steering System Mercedes 126 Series 1981 1982 1983 1984 1985 1986 1987 1988 1989 1990 1991 1992 1993 Restraint Mercedes 126 Series 1981 1982 1983 1984 1985 1986 1987 1988 1989 1990 1991 1992 1993 Brake System Mercedes 126 Series 1981 1982 1983 1984 1985 1986 1987 1988 1989 1990 1991 1992 1993 Body (Interior and Exterior) Mercedes 126 Series 1981 1982 1983 1984 1985 1986 1987 1988 1989 1990 1991 1992 1993 Body Electrical System Mercedes 126 Series 1981 1982 1983 1984 1985 1986 1987 1988 1989 1990 1991 1992 1993 Heating,Ventilation, Air Conditioning Mercedes 126 Series 1981 1982 1983 1984 1985 1986 1987 1988 1989 1990 1991 1992 1993 Lubrication & Maintenance Mercedes 126 Series 1981 1982 1983 1984 1985 1986 1987 1988 1989 1990 1991 1992 1993 Suspension Mercedes 126 Series 1981 1982 1983 1984 1985 1986 1987 1988 1989 1990 1991 1992 1993 Differential & Driveline Mercedes 126 Series 1981 1982 1983 1984 1985 1986 1987 1988 1989 1990 1991 1992 1993 Vehicle Quick Reference Mercedes 126 Series 1981 1982 1983 1984 1985 1986 1987 1988 1989 1990 1991 1992 1993 Brakes Mercedes 126 Series 1981 1982 1983 1984 1985 1986 1987 1988 1989 1990 1991 1992 1993 Cooling Mercedes 126 Series 1981 1982 1983 1984 1985 1986 1987 1988 1989 1990 1991 1992 1993 Audio/Video Mercedes 126 Series 1981 1982 1983 1984 1985 1986 1987 1988 1989 1990 1991 1992 1993 Chime/Buzzer Mercedes 126 Series 1981 1982 1983 1984 1985 1986 1987 1988 1989 1990 1991 1992 1993 Electronic Control Modules Mercedes 126 Series 1981 1982 1983 1984 1985 1986 1987 1988 1989 1990 1991 1992 1993 Engine Systems Mercedes 126 Series 1981 1982 1983 1984 1985 1986 1987 1988 1989 1990 1991 1992 1993 Heated Systems Mercedes 126 Series 1981 1982 1983 1984 1985 1986 1987 1988 1989 1990 1991 1992 1993 Horn Mercedes 126 Series 1981 1982 1983 1984 1985 1986 1987 1988 1989 1990 1991 1992 1993 Ignition Control Mercedes 126 Series 1981 1982 1983 1984 1985 1986 1987 1988 1989 1990 1991 1992 1993 Instrument Cluster Mercedes 126 Series 1981 1982 1983 1984 1985 1986 1987 1988 1989 1990 1991 1992 1993 Lamps Mercedes 126 Series 1981 1982 1983 1984 1985 1986 1987 1988 1989 1990 1991 1992 1993 Message Systems Mercedes 126 Series 1981 1982 1983 1984 1985 1986 1987 1988 1989 1990 1991 1992 1993 Power Systems Mercedes 126 Series 1981 1982 1983 1984 1985 1986 1987 1988 1989 1990 1991 1992 1993 Restraints Mercedes 126 Series 1981 1982 1983 1984 1985 1986 1987 1988 1989 1990 1991 1992 1993 Speed Control Mercedes 126 Series 1981 1982 1983 1984 1985 1986 1987 1988 1989 1990 1991 1992 1993 Vehicle Theft Security Mercedes 126 Series 1981 1982 1983 1984 1985 1986 1987 1988 1989 1990 1991 1992 1993 Wipers/Washers Mercedes 126 Series 1981 1982 1983 1984 1985 1986 1987 1988 1989 1990 1991 1992 1993 Navigation/Telecommunication Mercedes 126 Series 1981 1982 1983 1984 1985 1986 1987 1988 1989 1990 1991 1992 1993 Wiring Mercedes 126 Series 1981 1982 1983 1984 1985 1986 1987 1988 1989 1990 1991 1992 1993 Engine Mercedes 126 Series 1981 1982 1983 1984 1985 1986 1987 1988 1989 1990 1991 1992 1993 Exhaust System Mercedes 126 Series 1981 1982 1983 1984 1985 1986 1987 1988 1989 1990 1991 1992 1993 Frame & Bumpers Mercedes 126 Series 1981 1982 1983 1984 1985 1986 1987 1988 1989 1990 1991 1992 1993 Fuel System Mercedes 126 Series 1981 1982 1983 1984 1985 1986 1987 1988 1989 1990 1991 1992 1993 Steering Mercedes 126 Series 1981 1982 1983 1984 1985 1986 1987 1988 1989 1990 1991 1992 1993 Automatic Transmission Mercedes 126 Series 1981 1982 1983 1984 1985 1986 1987 1988 1989 1990 1991 1992 1993 Tires/Wheels Mercedes 126 Series 1981 1982 1983 1984 1985 1986 1987 1988 1989 1990 1991 1992 1993 Heating & Air Conditioning Mercedes 126 Series 1981 1982 1983 1984 1985 1986 1987 1988 1989 1990 1991 1992 1993 Emissions Control Mercedes 126 Series 1981 1982 1983 1984 1985 1986 1987 1988 1989 1990 1991 1992 1993 Component and System Index Mercedes 126 Series 1981 1982 1983 1984 1985 1986 1987 1988 1989 1990 1991 1992 1993 DTC Index Mercedes 126 Series 1981 1982 1983 1984 1985 1986 1987 1988 1989 1990 1991 1992 1993 General Information Mercedes 126 Series 1981 1982 1983 1984 1985 1986 1987 1988 1989 1990 1991 1992 1993 Engine Mechanical Mercedes 126 Series 1981 1982 1983 1984 1985 1986 1987 1988 1989 1990 1991 1992 1993 Engine Lubrication System Mercedes 126 Series 1981 1982 1983 1984 1985 1986 1987 1988 1989 1990 1991 1992 1993 Engine Cooling System Mercedes 126 Series 1981 1982 1983 1984 1985 1986 1987 1988 1989 1990 1991 1992 1993 Engine Control System Mercedes 126 Series 1981 1982 1983 1984 1985 1986 1987 1988 1989 1990 1991 1992 1993 Fuel System Mercedes 126 Series 1981 1982 1983 1984 1985 1986 1987 1988 1989 1990 1991 1992 1993 Exhaust System Mercedes 126 Series 1981 1982 1983 1984 1985 1986 1987 1988 1989 1990 1991 1992 1993 Starting System Mercedes 126 Series 1981 1982 1983 1984 1985 1986 1987 1988 1989 1990 1991 1992 1993 Accelerator Control System Mercedes 126 Series 1981 1982 1983 1984 1985 1986 1987 1988 1989 1990 1991 1992 1993 Clutch Mercedes 126 Series 1981 1982 1983 1984 1985 1986 1987 1988 1989 1990 1991 1992 1993 Transaxle and Transmission Mercedes 126 Series 1981 1982 1983 1984 1985 1986 1987 1988 1989 1990 1991 1992 1993 Driveline Mercedes 126 Series 1981 1982 1983 1984 1985 1986 1987 1988 1989 1990 1991 1992 1993 Front Axle Mercedes 126 Series 1981 1982 1983 1984 1985 1986 1987 1988 1989 1990 1991 1992 1993 Rear Axle Mercedes 126 Series 1981 1982 1983 1984 1985 1986 1987 1988 1989 1990 1991 1992 1993 Front Suspension Mercedes 126 Series 1981 1982 1983 1984 1985 1986 1987 1988 1989 1990 1991 1992 1993 Rear Suspension Mercedes 126 Series 1981 1982 1983 1984 1985 1986 1987 1988 1989 1990 1991 1992 1993 Road Wheels and Tires Mercedes 126 Series 1981 1982 1983 1984 1985 1986 1987 1988 1989 1990 1991 1992 1993 Brake System Mercedes 126 Series 1981 1982 1983 1984 1985 1986 1987 1988 1989 1990 1991 1992 1993 Parking Brake System Mercedes 126 Series 1981 1982 1983 1984 1985 1986 1987 1988 1989 1990 1991 1992 1993 Brake Control System Mercedes 126 Series 1981 1982 1983 1984 1985 1986 1987 1988 1989 1990 1991 1992 1993 Steering System Mercedes 126 Series 1981 1982 1983 1984 1985 1986 1987 1988 1989 1990 1991 1992 1993 Steering Control System Mercedes 126 Series 1981 1982 1983 1984 1985 1986 1987 1988 1989 1990 1991 1992 1993 Seat Belt Mercedes 126 Series 1981 1982 1983 1984 1985 1986 1987 1988 1989 1990 1991 1992 1993 Seat Belt Control System Mercedes 126 Series 1981 1982 1983 1984 1985 1986 1987 1988 1989 1990 1991 1992 1993 SRS Airbag Mercedes 126 Series 1981 1982 1983 1984 1985 1986 1987 1988 1989 1990 1991 1992 1993 SRS Airbag Control System Mercedes 126 Series 1981 1982 1983 1984 1985 1986 1987 1988 1989 1990 1991 1992 1993 Ventilation System Mercedes 126 Series 1981 1982 1983 1984 1985 1986 1987 1988 1989 1990 1991 1992 1993 Heater and Air Conditioning System Mercedes 126 Series 1981 1982 1983 1984 1985 1986 1987 1988 1989 1990 1991 1992 1993 Heater and Air Conditioning Control System Mercedes 126 Series 1981 1982 1983 1984 1985 1986 1987 1988 1989 1990 1991 1992 1993 Interior Mercedes 126 Series 1981 1982 1983 1984 1985 1986 1987 1988 1989 1990 1991 1992 1993 Instrument Panel Mercedes 126 Series 1981 1982 1983 1984 1985 1986 1987 1988 1989 1990 1991 1992 1993 Seat Mercedes 126 Series 1981 1982 1983 1984 1985 1986 1987 1988 1989 1990 1991 1992 1993 Automatic Drive Positioner Mercedes 126 Series 1981 1982 1983 1984 1985 1986 1987 1988 1989 1990 1991 1992 1993 Door and Lock Mercedes 126 Series 1981 1982 1983 1984 1985 1986 1987 1988 1989 1990 1991 1992 1993 Security Control System Mercedes 126 Series 1981 1982 1983 1984 1985 1986 1987 1988 1989 1990 1991 1992 1993 Glass and Window System Mercedes 126 Series 1981 1982 1983 1984 1985 1986 1987 1988 1989 1990 1991 1992 1993 Power Window Control System Mercedes 126 Series 1981 1982 1983 1984 1985 1986 1987 1988 1989 1990 1991 1992 1993 Roof Mercedes 126 Series 1981 1982 1983 1984 1985 1986 1987 1988 1989 1990 1991 1992 1993 Exterior Mercedes 126 Series 1981 1982 1983 1984 1985 1986 1987 1988 1989 1990 1991 1992 1993 Body Repair Mercedes 126 Series 1981 1982 1983 1984 1985 1986 1987 1988 1989 1990 1991 1992 1993 Mirrors Mercedes 126 Series 1981 1982 1983 1984 1985 1986 1987 1988 1989 1990 1991 1992 1993 Exterior Lighting System Mercedes 126 Series 1981 1982 1983 1984 1985 1986 1987 1988 1989 1990 1991 1992 1993 Interior Lighting System Mercedes 126 Series 1981 1982 1983 1984 1985 1986 1987 1988 1989 1990 1991 1992 1993 Wiper and Washer Mercedes 126 Series 1981 1982 1983 1984 1985 1986 1987 1988 1989 1990 1991 1992 1993 Defogger Mercedes 126 Series 1981 1982 1983 1984 1985 1986 1987 1988 1989 1990 1991 1992 1993 Horn Mercedes 126 Series 1981 1982 1983 1984 1985 1986 1987 1988 1989 1990 1991 1992 1993 Power Outlet Mercedes 126 Series 1981 1982 1983 1984 1985 1986 1987 1988 1989 1990 1991 1992 1993 Body Control System Mercedes 126 Series 1981 1982 1983 1984 1985 1986 1987 1988 1989 1990 1991 1992 1993 LAN System Mercedes 126 Series 1981 1982 1983 1984 1985 1986 1987 1988 1989 1990 1991 1992 1993 Power Control System Mercedes 126 Series 1981 1982 1983 1984 1985 1986 1987 1988 1989 1990 1991 1992 1993 Charging System Mercedes 126 Series 1981 1982 1983 1984 1985 1986 1987 1988 1989 1990 1991 1992 1993 Power Supply, Ground and Circuit Elements Mercedes 126 Series 1981 1982 1983 1984 1985 1986 1987 1988 1989 1990 1991 1992 1993 Meter, Warning Lamp and Indicator Mercedes 126 Series 1981 1982 1983 1984 1985 1986 1987 1988 1989 1990 1991 1992 1993 Warning Chime System Mercedes 126 Series 1981 1982 1983 1984 1985 1986 1987 1988 1989 1990 1991 1992 1993 Sonar System Mercedes 126 Series 1981 1982 1983 1984 1985 1986 1987 1988 1989 1990 1991 1992 1993 Audio Mercedes 126 Series 1981 1982 1983 1984 1985 1986 1987 1988 1989 1990 1991 1992 1993 Visual and Navigation System Mercedes 126 Series 1981 1982 1983 1984 1985 1986 1987 1988 1989 1990 1991 1992 1993 Cruise Control System Mercedes 126 Series 1981 1982 1983 1984 1985 1986 1987 1988 1989 1990 1991 1992 1993 Servicing Mercedes 126 Series 1981 1982 1983 1984 1985 1986 1987 1988 1989 1990 1991 1992 1993 Clutch Mercedes 126 Series 1981 1982 1983 1984 1985 1986 1987 1988 1989 1990 1991 1992 1993 Transmission Mercedes 126 Series 1981 1982 1983 1984 1985 1986 1987 1988 1989 1990 1991 1992 1993 Cooling systems Mercedes 126 Series 1981 1982 1983 1984 1985 1986 1987 1988 1989 1990 1991 1992 1993 Fuel & Exhaust Mercedes 126 Series 1981 1982 1983 1984 1985 1986 1987 1988 1989 1990 1991 1992 1993 Ignition & electrical Mercedes 126 Series 1981 1982 1983 1984 1985 1986 1987 1988 1989 1990 1991 1992 1993 Wheels & tyres Mercedes 126 Series 1981 1982 1983 1984 1985 1986 1987 1988 1989 1990 1991 1992 1993 Steering Mercedes 126 Series 1981 1982 1983 1984 1985 1986 1987 1988 1989 1990 1991 1992 1993 Suspension Mercedes 126 Series 1981 1982 1983 1984 1985 1986 1987 1988 1989 1990 1991 1992 1993 Wiring diagrams Mercedes 126 Series 1981 1982 1983 1984 1985 1986 1987 1988 1989 1990 1991 1992 1993 Troubleshooting Mercedes 126 Series 1981 1982 1983 1984 1985 1986 1987 1988 1989 1990 1991 1992 1993 Care and Safety Mercedes 126 Series 1981 1982 1983 1984 1985 1986 1987 1988 1989 1990 1991 1992 1993 Routine Maintenance Mercedes 126 Series 1981 1982 1983 1984 1985 1986 1987 1988 1989 1990 1991 1992 1993 Attachments Mercedes 126 Series 1981 1982 1983 1984 1985 1986 1987 1988 1989 1990 1991 1992 1993 Body and Framework Mercedes 126 Series 1981 1982 1983 1984 1985 1986 1987 1988 1989 1990 1991 1992 1993 Electrics Mercedes 126 Series 1981 1982 1983 1984 1985 1986 1987 1988 1989 1990 1991 1992 1993 Controls Mercedes 126 Series 1981 1982 1983 1984 1985 1986 1987 1988 1989 1990 1991 1992 1993 Hydraulics Mercedes 126 Series 1981 1982 1983 1984 1985 1986 1987 1988 1989 1990 1991 1992 1993 Gearboxes Mercedes 126 Series 1981 1982 1983 1984 1985 1986 1987 1988 1989 1990 1991 1992 1993 Track Mercedes 126 Series 1981 1982 1983 1984 1985 1986 1987 1988 1989 1990 1991 1992 1993 Running Gear Plus Lots More !! Mercedes 126 Series 1981 1982 1983 1984 1985 1986 1987 1988 1989 1990 1991 1992 1993 Workshop Service Repair Manual, Mercedes 126 Series 1981 1982 1983 1984 1985 1986 1987 1988 1989 1990 1991 1992 1993 Full Original Service Repair Manual, Mercedes 126 Series 1981 1982 1983 1984 1985 1986 1987 1988 1989 1990 1991 1992 1993 Factory Service Manual, Mercedes 126 Series 1981 1982 1983 1984 1985 1986 1987 1988 1989 1990 1991 1992 1993 Workshop Service Manual, Mercedes 126 Series 1981 1982 1983 1984 1985 1986 1987 1988 1989 1990 1991 1992 1993 Service Manual, Mercedes 126 Series 1981 1982 1983 1984 1985 1986 1987 1988 1989 1990 1991 1992 1993 Repair Manual, Mercedes 126 Series 1981 1982 1983 1984 1985 1986 1987 1988 1989 1990 1991 1992 1993 Full Manual, Mercedes 126 Series 1981 1982 1983 1984 1985 1986 1987 1988 1989 1990 1991 1992 1993 Digital Manual, Mercedes 126 Series 1981 1982 1983 1984 1985 1986 1987 1988 1989 1990 1991 1992 1993 Workshop Manual, Mercedes 126 Series 1981 1982 1983 1984 1985 1986 1987 1988 1989 1990 1991 1992 1993 Factory Manual, Mercedes 126 Series 1981 1982 1983 1984 1985 1986 1987 1988 1989 1990 1991 1992 1993 Manual Pdf DOwnload, Mercedes 126 Series 1981 1982 1983 1984 1985 1986 1987 1988 1989 1990 1991 1992 1993 Factory Repair Manual, Mercedes 126 Series 1981 1982 1983 1984 1985 1986 1987 1988 1989 1990 1991 1992 1993 Workshop Repair Manual Mercedes 126 Series 1981 1982 1983 1984 1985 1986 1987 1988 1989 1990 1991 1992 1993 General Information, Mercedes 126 Series 1981 1982 1983 1984 1985 1986 1987 1988 1989 1990 1991 1992 1993 Specifications, Mercedes 126 Series 1981 1982 1983 1984 1985 1986 1987 1988 1989 1990 1991 1992 1993 Engine Removal, Mercedes 126 Series 1981 1982 1983 1984 1985 1986 1987 1988 1989 1990 1991 1992 1993 Wiring Diagrams, Mercedes 126 Series 1981 1982 1983 1984 1985 1986 1987 1988 1989 1990 1991 1992 1993 Lube Points, Mercedes 126 Series 1981 1982 1983 1984 1985 1986 1987 1988 1989 1990 1991 1992 1993 Oil Types, Mercedes 126 Series 1981 1982 1983 1984 1985 1986 1987 1988 1989 1990 1991 1992 1993 Periodic Maintenance and Tune-Up Procedures, Mercedes 126 Series 1981 1982 1983 1984 1985 1986 1987 1988 1989 1990 1991 1992 1993 Engine Servicing, Mercedes 126 Series 1981 1982 1983 1984 1985 1986 1987 1988 1989 1990 1991 1992 1993 Disassembly, Mercedes 126 Series 1981 1982 1983 1984 1985 1986 1987 1988 1989 1990 1991 1992 1993 Reassembly, Mercedes 126 Series 1981 1982 1983 1984 1985 1986 1987 1988 1989 1990 1991 1992 1993 Fuel and Lubrication Systems, Mercedes 126 Series 1981 1982 1983 1984 1985 1986 1987 1988 1989 1990 1991 1992 1993 Carb Rebuild, Mercedes 126 Series 1981 1982 1983 1984 1985 1986 1987 1988 1989 1990 1991 1992 1993 Carb Adjustments, Mercedes 126 Series 1981 1982 1983 1984 1985 1986 1987 1988 1989 1990 1991 1992 1993 Electrical System, Mercedes 126 Series 1981 1982 1983 1984 1985 1986 1987 1988 1989 1990 1991 1992 1993 Ignition, Mercedes 126 Series 1981 1982 1983 1984 1985 1986 1987 1988 1989 1990 1991 1992 1993 Chassis, Mercedes 126 Series 1981 1982 1983 1984 1985 1986 1987 1988 1989 1990 1991 1992 1993 Charging, Mercedes 126 Series 1981 1982 1983 1984 1985 1986 1987 1988 1989 1990 1991 1992 1993 Starter, Mercedes 126 Series 1981 1982 1983 1984 1985 1986 1987 1988 1989 1990 1991 1992 1993 Battery, Mercedes 126 Series 1981 1982 1983 1984 1985 1986 1987 1988 1989 1990 1991 1992 1993 Switches, Mercedes 126 Series 1981 1982 1983 1984 1985 1986 1987 1988 1989 1990 1991 1992 1993 Wheels, Mercedes 126 Series 1981 1982 1983 1984 1985 1986 1987 1988 1989 1990 1991 1992 1993 Brakes, Mercedes 126 Series 1981 1982 1983 1984 1985 1986 1987 1988 1989 1990 1991 1992 1993 Steering, Mercedes 126 Series 1981 1982 1983 1984 1985 1986 1987 1988 1989 1990 1991 1992 1993 Suspension, Mercedes 126 Series 1981 1982 1983 1984 1985 1986 1987 1988 1989 1990 1991 1992 1993 Axles, Mercedes 126 Series 1981 1982 1983 1984 1985 1986 1987 1988 1989 1990 1991 1992 1993 Chassis Assembly, Mercedes 126 Series 1981 1982 1983 1984 1985 1986 1987 1988 1989 1990 1991 1992 1993 Servicing Information, Mercedes 126 Series 1981 1982 1983 1984 1985 1986 1987 1988 1989 1990 1991 1992 1993 Wiring Diagrams, Mercedes 126 Series 1981 1982 1983 1984 1985 1986 1987 1988 1989 1990 1991 1992 1993 Service Data, Mercedes 126 Series 1981 1982 1983 1984 1985 1986 1987 1988 1989 1990 1991 1992 1993 Wire/Cable/Hose Routing, Mercedes 126 Series 1981 1982 1983 1984 1985 1986 1987 1988 1989 1990 1991 1992 1993 Tools, Mercedes 126 Series 1981 1982 1983 1984 1985 1986 1987 1988 1989 1990 1991 1992 1993 Tightening Torques, Mercedes 126 Series 1981 1982 1983 1984 1985 1986 1987 1988 1989 1990 1991 1992 1993 Complete Engine Service, Mercedes 126 Series 1981 1982 1983 1984 1985 1986 1987 1988 1989 1990 1991 1992 1993 Fuel System Service, Mercedes 126 Series 1981 1982 1983 1984 1985 1986 1987 1988 1989 1990 1991 1992 1993 All Factory Repair Procedures, Mercedes 126 Series 1981 1982 1983 1984 1985 1986 1987 1988 1989 1990 1991 1992 1993 Gearbox, Mercedes 126 Series 1981 1982 1983 1984 1985 1986 1987 1988 1989 1990 1991 1992 1993 Exhaust System, Mercedes 126 Series 1981 1982 1983 1984 1985 1986 1987 1988 1989 1990 1991 1992 1993 Suspension, Mercedes 126 Series 1981 1982 1983 1984 1985 1986 1987 1988 1989 1990 1991 1992 1993 Fault Finding, Mercedes 126 Series 1981 1982 1983 1984 1985 1986 1987 1988 1989 1990 1991 1992 1993 Clutch Removal and Installation, Mercedes 126 Series 1981 1982 1983 1984 1985 1986 1987 1988 1989 1990 1991 1992 1993 Transmission, Mercedes 126 Series 1981 1982 1983 1984 1985 1986 1987 1988 1989 1990 1991 1992 1993 Front Suspension, Mercedes 126 Series 1981 1982 1983 1984 1985 1986 1987 1988 1989 1990 1991 1992 1993 Bodywork, Mercedes 126 Series 1981 1982 1983 1984 1985 1986 1987 1988 1989 1990 1991 1992 1993 Gearbox Service, Mercedes 126 Series 1981 1982 1983 1984 1985 1986 1987 1988 1989 1990 1991 1992 1993 Gearbox Removal and Installation, Mercedes 126 Series 1981 1982 1983 1984 1985 1986 1987 1988 1989 1990 1991 1992 1993 Cooling System, Mercedes 126 Series 1981 1982 1983 1984 1985 1986 1987 1988 1989 1990 1991 1992 1993 Detailed Specifications, Mercedes 126 Series 1981 1982 1983 1984 1985 1986 1987 1988 1989 1990 1991 1992 1993 Factory Maintenance Schedules, Mercedes 126 Series 1981 1982 1983 1984 1985 1986 1987 1988 1989 1990 1991 1992 1993 Electrics, Mercedes 126 Series 1981 1982 1983 1984 1985 1986 1987 1988 1989 1990 1991 1992 1993 Engine Firing Order, Mercedes 126 Series 1981 1982 1983 1984 1985 1986 1987 1988 1989 1990 1991 1992 1993 Brake Servicing Procedures, Mercedes 126 Series 1981 1982 1983 1984 1985 1986 1987 1988 1989 1990 1991 1992 1993 U-Joint Service Procedures, Mercedes 126 Series 1981 1982 1983 1984 1985 1986 1987 1988 1989 1990 1991 1992 1993 CV Joint Service Procedures, Mercedes 126 Series 1981 1982 1983 1984 1985 1986 1987 1988 1989 1990 1991 1992 1993 Timing Chain Service, Mercedes 126 Series 1981 1982 1983 1984 1985 1986 1987 1988 1989 1990 1991 1992 1993 Exhaust Service Mercedes 126 Series 1981 1982 1983 1984 1985 1986 1987 1988 1989 1990 1991 1992 1993 General Information Mercedes 126 Series 1981 1982 1983 1984 1985 1986 1987 1988 1989 1990 1991 1992 1993 Engine Mechanical System Mercedes 126 Series 1981 1982 1983 1984 1985 1986 1987 1988 1989 1990 1991 1992 1993 Engine Electrical System Mercedes 126 Series 1981 1982 1983 1984 1985 1986 1987 1988 1989 1990 1991 1992 1993 Emission Control System Mercedes 126 Series 1981 1982 1983 1984 1985 1986 1987 1988 1989 1990 1991 1992 1993 Fuel System Mercedes 126 Series 1981 1982 1983 1984 1985 1986 1987 1988 1989 1990 1991 1992 1993 Clutch System Mercedes 126 Series 1981 1982 1983 1984 1985 1986 1987 1988 1989 1990 1991 1992 1993 Manual Transaxle System Mercedes 126 Series 1981 1982 1983 1984 1985 1986 1987 1988 1989 1990 1991 1992 1993 Automatic Transaxle System Mercedes 126 Series 1981 1982 1983 1984 1985 1986 1987 1988 1989 1990 1991 1992 1993 Driveshaft and axle Mercedes 126 Series 1981 1982 1983 1984 1985 1986 1987 1988 1989 1990 1991 1992 1993 Suspension System Mercedes 126 Series 1981 1982 1983 1984 1985 1986 1987 1988 1989 1990 1991 1992 1993 Steering System Mercedes 126 Series 1981 1982 1983 1984 1985 1986 1987 1988 1989 1990 1991 1992 1993 Restraint Mercedes 126 Series 1981 1982 1983 1984 1985 1986 1987 1988 1989 1990 1991 1992 1993 Brake System Mercedes 126 Series 1981 1982 1983 1984 1985 1986 1987 1988 1989 1990 1991 1992 1993 Body (Interior and Exterior) Mercedes 126 Series 1981 1982 1983 1984 1985 1986 1987 1988 1989 1990 1991 1992 1993 Body Electrical System Mercedes 126 Series 1981 1982 1983 1984 1985 1986 1987 1988 1989 1990 1991 1992 1993 Heating,Ventilation, Air Conditioning Mercedes 126 Series 1981 1982 1983 1984 1985 1986 1987 1988 1989 1990 1991 1992 1993 Lubrication & Maintenance Mercedes 126 Series 1981 1982 1983 1984 1985 1986 1987 1988 1989 1990 1991 1992 1993 Suspension Mercedes 126 Series 1981 1982 1983 1984 1985 1986 1987 1988 1989 1990 1991 1992 1993 Differential & Driveline Mercedes 126 Series 1981 1982 1983 1984 1985 1986 1987 1988 1989 1990 1991 1992 1993 Vehicle Quick Reference Mercedes 126 Series 1981 1982 1983 1984 1985 1986 1987 1988 1989 1990 1991 1992 1993 Brakes Mercedes 126 Series 1981 1982 1983 1984 1985 1986 1987 1988 1989 1990 1991 1992 1993 Cooling Mercedes 126 Series 1981 1982 1983 1984 1985 1986 1987 1988 1989 1990 1991 1992 1993 Audio/Video Mercedes 126 Series 1981 1982 1983 1984 1985 1986 1987 1988 1989 1990 1991 1992 1993 Chime/Buzzer Mercedes 126 Series 1981 1982 1983 1984 1985 1986 1987 1988 1989 1990 1991 1992 1993 Electronic Control Modules Mercedes 126 Series 1981 1982 1983 1984 1985 1986 1987 1988 1989 1990 1991 1992 1993 Engine Systems Mercedes 126 Series 1981 1982 1983 1984 1985 1986 1987 1988 1989 1990 1991 1992 1993 Heated Systems Mercedes 126 Series 1981 1982 1983 1984 1985 1986 1987 1988 1989 1990 1991 1992 1993 Horn Mercedes 126 Series 1981 1982 1983 1984 1985 1986 1987 1988 1989 1990 1991 1992 1993 Ignition Control Mercedes 126 Series 1981 1982 1983 1984 1985 1986 1987 1988 1989 1990 1991 1992 1993 Instrument Cluster Mercedes 126 Series 1981 1982 1983 1984 1985 1986 1987 1988 1989 1990 1991 1992 1993 Lamps Mercedes 126 Series 1981 1982 1983 1984 1985 1986 1987 1988 1989 1990 1991 1992 1993 Message Systems Mercedes 126 Series 1981 1982 1983 1984 1985 1986 1987 1988 1989 1990 1991 1992 1993 Power Systems Mercedes 126 Series 1981 1982 1983 1984 1985 1986 1987 1988 1989 1990 1991 1992 1993 Restraints Mercedes 126 Series 1981 1982 1983 1984 1985 1986 1987 1988 1989 1990 1991 1992 1993 Speed Control Mercedes 126 Series 1981 1982 1983 1984 1985 1986 1987 1988 1989 1990 1991 1992 1993 Vehicle Theft Security Mercedes 126 Series 1981 1982 1983 1984 1985 1986 1987 1988 1989 1990 1991 1992 1993 Wipers/Washers Mercedes 126 Series 1981 1982 1983 1984 1985 1986 1987 1988 1989 1990 1991 1992 1993 Navigation/Telecommunication Mercedes 126 Series 1981 1982 1983 1984 1985 1986 1987 1988 1989 1990 1991 1992 1993 Wiring Mercedes 126 Series 1981 1982 1983 1984 1985 1986 1987 1988 1989 1990 1991 1992 1993 Engine Mercedes 126 Series 1981 1982 1983 1984 1985 1986 1987 1988 1989 1990 1991 1992 1993 Exhaust System Mercedes 126 Series 1981 1982 1983 1984 1985 1986 1987 1988 1989 1990 1991 1992 1993 Frame & Bumpers Mercedes 126 Series 1981 1982 1983 1984 1985 1986 1987 1988 1989 1990 1991 1992 1993 Fuel System Mercedes 126 Series 1981 1982 1983 1984 1985 1986 1987 1988 1989 1990 1991 1992 1993 Steering Mercedes 126 Series 1981 1982 1983 1984 1985 1986 1987 1988 1989 1990 1991 1992 1993 Automatic Transmission Mercedes 126 Series 1981 1982 1983 1984 1985 1986 1987 1988 1989 1990 1991 1992 1993 Tires/Wheels Mercedes 126 Series 1981 1982 1983 1984 1985 1986 1987 1988 1989 1990 1991 1992 1993 Heating & Air Conditioning Mercedes 126 Series 1981 1982 1983 1984 1985 1986 1987 1988 1989 1990 1991 1992 1993 Emissions Control Mercedes 126 Series 1981 1982 1983 1984 1985 1986 1987 1988 1989 1990 1991 1992 1993 Component and System Index Mercedes 126 Series 1981 1982 1983 1984 1985 1986 1987 1988 1989 1990 1991 1992 1993 DTC Index Mercedes 126 Series 1981 1982 1983 1984 1985 1986 1987 1988 1989 1990 1991 1992 1993 General Information Mercedes 126 Series 1981 1982 1983 1984 1985 1986 1987 1988 1989 1990 1991 1992 1993 Engine Mechanical Mercedes 126 Series 1981 1982 1983 1984 1985 1986 1987 1988 1989 1990 1991 1992 1993 Fii inventiv Mercedes 126 Series 1981 1982 1983 1984 1985 1986 1987 1988 1989 1990 1991 1992 1993 Engine Lubrication System Mercedes 126 Series 1981 1982 1983 1984 1985 1986 1987 1988 1989 1990 1991 1992 1993 Engine Cooling System Mercedes 126 Series 1981 1982 1983 1984 1985 1986 1987 1988 1989 1990 1991 1992 1993 Engine Control System Mercedes 126 Series 1981 1982 1983 1984 1985 1986 1987 1988 1989 1990 1991 1992 1993 Fuel System Mercedes 126 Series 1981 1982 1983 1984 1985 1986 1987 1988 1989 1990 1991 1992 1993 Exhaust System Mercedes 126 Series 1981 1982 1983 1984 1985 1986 1987 1988 1989 1990 1991 1992 1993 Starting System Mercedes 126 Series 1981 1982 1983 1984 1985 1986 1987 1988 1989 1990 1991 1992 1993 Accelerator Control System Mercedes 126 Series 1981 1982 1983 1984 1985 1986 1987 1988 1989 1990 1991 1992 1993 Vehicle Quick Reference Mercedes 126 Series 1981 1982 1983 1984 1985 1986 1987 1988 1989 1990 1991 1992 1993 Brakes Mercedes 126 Series 1981 1982 1983 1984 1985 1986 1987 1988 1989 1990 1991 1992 1993 Cooling Mercedes 126 Series 1981 1982 1983 1984 1985 1986 1987 1988 1989 1990 1991 1992 1993 Audio/Video Mercedes 126 Series 1981 1982 1983 1984 1985 1986 1987 1988 1989 1990 1991 1992 1993 Chime/Buzzer Mercedes 126 Series 1981 1982 1983 1984 1985 1986 1987 1988 1989 1990 1991 1992 1993 Electronic Control Modules Mercedes 126 Series 1981 1982 1983 1984 1985 1986 1987 1988 1989 1990 1991 1992 1993 Engine Systems Mercedes 126 Series 1981 1982 1983 1984 1985 1986 1987 1988 1989 1990 1991 1992 1993 Heated Systems Mercedes 126 Series 1981 1982 1983 1984 1985 1986 1987 1988 1989 1990 1991 1992 1993 Horn Mercedes 126 Series 1981 1982 1983 1984 1985 1986 1987 1988 1989 1990 1991 1992 1993 Ignition Control Mercedes 126 Series 1981 1982 1983 1984 1985 1986 1987 1988 1989 1990 1991 1992 1993 Instrument Cluster Mercedes 126 Series 1981 1982 1983 1984 1985 1986 1987 1988 1989 1990 1991 1992 1993 Lamps Mercedes 126 Series 1981 1982 1983 1984 1985 1986 1987 1988 1989 1990 1991 1992 1993 Message Systems Mercedes 126 Series 1981 1982 1983 1984 1985 1986 1987 1988 1989 1990 1991 1992 1993 Power Systems Mercedes 126 Series 1981 1982 1983 1984 1985 1986 1987 1988 1989 1990 1991 1992 1993 Clutch Mercedes 126 Series 1981 1982 1983 1984 1985 1986 1987 1988 1989 1990 1991 1992 1993 Transaxle and Transmission Mercedes 126 Series 1981 1982 1983 1984 1985 1986 1987 1988 1989 1990 1991 1992 1993 Driveline Mercedes 126 Series 1981 1982 1983 1984 1985 1986 1987 1988 1989 1990 1991 1992 1993 Front Axle Mercedes 126 Series 1981 1982 1983 1984 1985 1986 1987 1988 1989 1990 1991 1992 1993 Rear Axle Mercedes 126 Series 1981 1982 1983 1984 1985 1986 1987 1988 1989 1990 1991 1992 1993 Front Suspension Mercedes 126 Series 1981 1982 1983 1984 1985 1986 1987 1988 1989 1990 1991 1992 1993 Rear Suspension Mercedes 126 Series 1981 1982 1983 1984 1985 1986 1987 1988 1989 1990 1991 1992 1993 Road Wheels and Tires Mercedes 126 Series 1981 1982 1983 1984 1985 1986 1987 1988 1989 1990 1991 1992 1993 Brake System Mercedes 126 Series 1981 1982 1983 1984 1985 1986 1987 1988 1989 1990 1991 1992 1993 Parking Brake System Mercedes 126 Series 1981 1982 1983 1984 1985 1986 1987 1988 1989 1990 1991 1992 1993 Brake Control System Mercedes 126 Series 1981 1982 1983 1984 1985 1986 1987 1988 1989 1990 1991 1992 1993 Steering System Mercedes 126 Series 1981 1982 1983 1984 1985 1986 1987 1988 1989 1990 1991 1992 1993 Steering Control System Mercedes 126 Series 1981 1982 1983 1984 1985 1986 1987 1988 1989 1990 1991 1992 1993 Seat Belt Mercedes 126 Series 1981 1982 1983 1984 1985 1986 1987 1988 1989 1990 1991 1992 1993 Seat Belt Control System Mercedes 126 Series 1981 1982 1983 1984 1985 1986 1987 1988 1989 1990 1991 1992 1993 SRS Airbag Mercedes 126 Series 1981 1982 1983 1984 1985 1986 1987 1988 1989 1990 1991 1992 1993 SRS Airbag Control System Mercedes 126 Series 1981 1982 1983 1984 1985 1986 1987 1988 1989 1990 1991 1992 1993 Ventilation System Mercedes 126 Series 1981 1982 1983 1984 1985 1986 1987 1988 1989 1990 1991 1992 1993 Heater and Air Conditioning System Mercedes 126 Series 1981 1982 1983 1984 1985 1986 1987 1988 1989 1990 1991 1992 1993 Heater and Air Conditioning Control System Mercedes 126 Series 1981 1982 1983 1984 1985 1986 1987 1988 1989 1990 1991 1992 1993 Interior Mercedes 126 Series 1981 1982 1983 1984 1985 1986 1987 1988 1989 1990 1991 1992 1993 Instrument Panel Mercedes 126 Series 1981 1982 1983 1984 1985 1986 1987 1988 1989 1990 1991 1992 1993 Seat Mercedes 126 Series 1981 1982 1983 1984 1985 1986 1987 1988 1989 1990 1991 1992 1993 Automatic Drive Positioner Mercedes 126 Series 1981 1982 1983 1984 1985 1986 1987 1988 1989 1990 1991 1992 1993 Door and Lock Mercedes 126 Series 1981 1982 1983 1984 1985 1986 1987 1988 1989 1990 1991 1992 1993 Security Control System Mercedes 126 Series 1981 1982 1983 1984 1985 1986 1987 1988 1989 1990 1991 1992 1993 Glass and Window System Mercedes 126 Series 1981 1982 1983 1984 1985 1986 1987 1988 1989 1990 1991 1992 1993 Power Window Control System Mercedes 126 Series 1981 1982 1983 1984 1985 1986 1987 1988 1989 1990 1991 1992 1993 Roof Mercedes 126 Series 1981 1982 1983 1984 1985 1986 1987 1988 1989 1990 1991 1992 1993 Exterior Mercedes 126 Series 1981 1982 1983 1984 1985 1986 1987 1988 1989 1990 1991 1992 1993 Body Repair Mercedes 126 Series 1981 1982 1983 1984 1985 1986 1987 1988 1989 1990 1991 1992 1993 Mirrors Mercedes 126 Series 1981 1982 1983 1984 1985 1986 1987 1988 1989 1990 1991 1992 1993 Exterior Lighting System Mercedes 126 Series 1981 1982 1983 1984 1985 1986 1987 1988 1989 1990 1991 1992 1993 Interior Lighting System Mercedes 126 Series 1981 1982 1983 1984 1985 1986 1987 1988 1989 1990 1991 1992 1993 Wiper and Washer Mercedes 126 Series 1981 1982 1983 1984 1985 1986 1987 1988 1989 1990 1991 1992 1993 Defogger Mercedes 126 Series 1981 1982 1983 1984 1985 1986 1987 1988 1989 1990 1991 1992 1993 Horn Mercedes 126 Series 1981 1982 1983 1984 1985 1986 1987 1988 1989 1990 1991 1992 1993 Power Outlet Mercedes 126 Series 1981 1982 1983 1984 1985 1986 1987 1988 1989 1990 1991 1992 1993 Body Control System Mercedes 126 Series 1981 1982 1983 1984 1985 1986 1987 1988 1989 1990 1991 1992 1993 Te-am prins Mercedes 126 Series 1981 1982 1983 1984 1985 1986 1987 1988 1989 1990 1991 1992 1993 LAN System Mercedes 126 Series 1981 1982 1983 1984 1985 1986 1987 1988 1989 1990 1991 1992 1993 Power Control System Mercedes 126 Series 1981 1982 1983 1984 1985 1986 1987 1988 1989 1990 1991 1992 1993 Charging System Mercedes 126 Series 1981 1982 1983 1984 1985 1986 1987 1988 1989 1990 1991 1992 1993 Power Supply, Ground and Circuit Elements Mercedes 126 Series 1981 1982 1983 1984 1985 1986 1987 1988 1989 1990 1991 1992 1993 Meter, Warning Lamp and Indicator Mercedes 126 Series 1981 1982 1983 1984 1985 1986 1987 1988 1989 1990 1991 1992 1993 Warning Chime System Mercedes 126 Series 1981 1982 1983 1984 1985 1986 1987 1988 1989 1990 1991 1992 1993 Sonar System Mercedes 126 Series 1981 1982 1983 1984 1985 1986 1987 1988 1989 1990 1991 1992 1993 Audio Mercedes 126 Series 1981 1982 1983 1984 1985 1986 1987 1988 1989 1990 1991 1992 1993 Visual and Navigation System Mercedes 126 Series 1981 1982 1983 1984 1985 1986 1987 1988 1989 1990 1991 1992 1993 Cruise Control System Mercedes 126 Series 1981 1982 1983 1984 1985 1986 1987 1988 1989 1990 1991 1992 1993 Servicing Mercedes 126 Series 1981 1982 1983 1984 1985 1986 1987 1988 1989 1990 1991 1992 1993 Clutch Mercedes 126 Series 1981 1982 1983 1984 1985 1986 1987 1988 1989 1990 1991 1992 1993 Transmission Mercedes 126 Series 1981 1982 1983 1984 1985 1986 1987 1988 1989 1990 1991 1992 1993 Cooling systems Mercedes 126 Series 1981 1982 1983 1984 1985 1986 1987 1988 1989 1990 1991 1992 1993 Fuel & Exhaust Mercedes 126 Series 1981 1982 1983 1984 1985 1986 1987 1988 1989 1990 1991 1992 1993 Ignition & electrical Mercedes 126 Series 1981 1982 1983 1984 1985 1986 1987 1988 1989 1990 1991 1992 1993 Wheels & tyres Mercedes 126 Series 1981 1982 1983 1984 1985 1986 1987 1988 1989 1990 1991 1992 1993 Steering Mercedes 126 Series 1981 1982 1983 1984 1985 1986 1987 1988 1989 1990 1991 1992 1993 Suspension Mercedes 126 Series 1981 1982 1983 1984 1985 1986 1987 1988 1989 1990 1991 1992 1993 Wiring diagrams Mercedes 126 Series 1981 1982 1983 1984 1985 1986 1987 1988 1989 1990 1991 1992 1993 Troubleshooting Mercedes 126 Series 1981 1982 1983 1984 1985 1986 1987 1988 1989 1990 1991 1992 1993 Care and Safety Mercedes 126 Series 1981 1982 1983 1984 1985 1986 1987 1988 1989 1990 1991 1992 1993 Routine Maintenance Mercedes 126 Series 1981 1982 1983 1984 1985 1986 1987 1988 1989 1990 1991 1992 1993 Attachments Mercedes 126 Series 1981 1982 1983 1984 1985 1986 1987 1988 1989 1990 1991 1992 1993 Body and Framework Mercedes 126 Series 1981 1982 1983 1984 1985 1986 1987 1988 1989 1990 1991 1992 1993 Electrics Mercedes 126 Series 1981 1982 1983 1984 1985 1986 1987 1988 1989 1990 1991 1992 1993 Controls Mercedes 126 Series 1981 1982 1983 1984 1985 1986 1987 1988 1989 1990 1991 1992 1993 Hydraulics Mercedes 126 Series 1981 1982 1983 1984 1985 1986 1987 1988 1989 1990 1991 1992 1993 Gearboxes Mercedes 126 Series 1981 1982 1983 1984 1985 1986 1987 1988 1989 1990 1991 1992 1993 Track Mercedes 126 Series 1981 1982 1983 1984 1985 1986 1987 1988 1989 1990 1991 1992 1993 Running Gear Mercedes 126 Series 1981 1982 1983 1984 1985 1986 1987 1988 1989 1990 1991 1992 1993 Front Axle Mercedes 126 Series 1981 1982 1983 1984 1985 1986 1987 1988 1989 1990 1991 1992 1993 Rear Axle Mercedes 126 Series 1981 1982 1983 1984 1985 1986 1987 1988 1989 1990 1991 1992 1993 Front Suspension Mercedes 126 Series 1981 1982 1983 1984 1985 1986 1987 1988 1989 1990 1991 1992 1993 Rear Suspension Mercedes 126 Series 1981 1982 1983 1984 1985 1986 1987 1988 1989 1990 1991 1992 1993 Road Wheels and Tires Mercedes 126 Series 1981 1982 1983 1984 1985 1986 1987 1988 1989 1990 1991 1992 1993 Brake System Mercedes 126 Series 1981 1982 1983 1984 1985 1986 1987 1988 1989 1990 1991 1992 1993 Parking Brake System Mercedes 126 Series 1981 1982 1983 1984 1985 1986 1987 1988 1989 1990 1991 1992 1993 Brake Control System Mercedes 126 Series 1981 1982 1983 1984 1985 1986 1987 1988 1989 1990 1991 1992 1993 Steering System Mercedes 126 Series 1981 1982 1983 1984 1985 1986 1987 1988 1989 1990 1991 1992 1993 Steering Control System Mercedes 126 Series 1981 1982 1983 1984 1985 1986 1987 1988 1989 1990 1991 1992 1993 Seat Belt Mercedes 126 Series 1981 1982 1983 1984 1985 1986 1987 1988 1989 1990 1991 1992 1993 Seat Belt Control System Mercedes 126 Series 1981 1982 1983 1984 1985 1986 1987 1988 1989 1990 1991 1992 1993 SRS Airbag Mercedes 126 Series 1981 1982 1983 1984 1985 1986 1987 1988 1989 1990 1991 1992 1993 SRS Airbag Control System Mercedes 126 Series 1981 1982 1983 1984 1985 1986 1987 1988 1989 1990 1991 1992 1993 Ventilation System Mercedes 126 Series 1981 1982 1983 1984 1985 1986 1987 1988 1989 1990 1991 1992 1993 Heater and Air Conditioning System Mercedes 126 Series 1981 1982 1983 1984 1985 1986 1987 1988 1989 1990 1991 1992 1993 Heater and Air Conditioning Control System Mercedes 126 Series 1981 1982 1983 1984 1985 1986 1987 1988 1989 1990 1991 1992 1993 Interior Mercedes 126 Series 1981 1982 1983 1984 1985 1986 1987 1988 1989 1990 1991 1992 1993 Instrument Panel Mercedes 126 Series 1981 1982 1983 1984 1985 1986 1987 1988 1989 1990 1991 1992 1993 Seat Mercedes 126 Series 1981 1982 1983 1984 1985 1986 1987 1988 1989 1990 1991 1992 1993 Automatic Drive Positioner Mercedes 126 Series 1981 1982 1983 1984 1985 1986 1987 1988 1989 1990 1991 1992 1993 Door and Lock Mercedes 126 Series 1981 1982 1983 1984 1985 1986 1987 1988 1989 1990 1991 1992 1993 Security Control System Mercedes 126 Series 1981 1982 1983 1984 1985 1986 1987 1988 1989 1990 1991 1992 1993 Glass and Window System Mercedes 126 Series 1981 1982 1983 1984 1985 1986 1987 1988 1989 1990 1991 1992 1993 Power Window Control System Mercedes 126 Series 1981 1982 1983 1984 1985 1986 1987 1988 1989 1990 1991 1992 1993 Roof Mercedes 126 Series 1981 1982 1983 1984 1985 1986 1987 1988 1989 1990 1991 1992 1993 Exterior Mercedes 126 Series 1981 1982 1983 1984 1985 1986 1987 1988 1989 1990 1991 1992 1993 Body Repair Mercedes 126 Series 1981 1982 1983 1984 1985 1986 1987 1988 1989 1990 1991 1992 1993 Mirrors Mercedes 126 Series 1981 1982 1983 1984 1985 1986 1987 1988 1989 1990 1991 1992 1993 Exterior Lighting System Mercedes 126 Series 1981 1982 1983 1984 1985 1986 1987 1988 1989 1990 1991 1992 1993 Interior Lighting System Mercedes 126 Series 1981 1982 1983 1984 1985 1986 1987 1988 1989 1990 1991 1992 1993 Wiper and Washer Mercedes 126 Series 1981 1982 1983 1984 1985 1986 1987 1988 1989 1990 1991 1992 1993 Defogger Mercedes 126 Series 1981 1982 1983 1984 1985 1986 1987 1988 1989 1990 1991 1992 1993 Horn Mercedes 126 Series 1981 1982 1983 1984 1985 1986 1987 1988 1989 1990 1991 1992 1993 Power Outlet Mercedes 126 Series 1981 1982 1983 1984 1985 1986 1987 1988 1989 1990 1991 1992 1993 Body Control System Mercedes 126 Series 1981 1982 1983 1984 1985 1986 1987 1988 1989 1990 1991 1992 1993 LAN System Mercedes 126 Series 1981 1982 1983 1984 1985 1986 1987 1988 1989 1990 1991 1992 1993 Power Control System Mercedes 126 Series 1981 1982 1983 1984 1985 1986 1987 1988 1989 1990 1991 1992 1993 Charging System Mercedes 126 Series 1981 1982 1983 1984 1985 1986 1987 1988 1989 1990 1991 1992 1993 Power Supply, Ground and Circuit Elements Mercedes 126 Series 1981 1982 1983 1984 1985 1986 1987 1988 1989 1990 1991 1992 1993 Meter, Warning Lamp and Indicator Mercedes 126 Series 1981 1982 1983 1984 1985 1986 1987 1988 1989 1990 1991 1992 1993 Warning Chime System Mercedes 126 Series 1981 1982 1983 1984 1985 1986 1987 1988 1989 1990 1991 1992 1993 Sonar System Mercedes 126 Series 1981 1982 1983 1984 1985 1986 1987 1988 1989 1990 1991 1992 1993 Audio Mercedes 126 Series 1981 1982 1983 1984 1985 1986 1987 1988 1989 1990 1991 1992 1993 Visual and Navigation System Mercedes 126 Series 1981 1982 1983 1984 1985 1986 1987 1988 1989 1990 1991 1992 1993 Cruise Control System Mercedes 126 Series 1981 1982 1983 1984 1985 1986 1987 1988 1989 1990 1991 1992 1993 Servicing Mercedes 126 Series 1981 1982 1983 1984 1985 1986 1987 1988 1989 1990 1991 1992 1993 Clutch Mercedes 126 Series 1981 1982 1983 1984 1985 1986 1987 1988 1989 1990 1991 1992 1993 Transmission Mercedes 126 Series 1981 1982 1983 1984 1985 1986 1987 1988 1989 1990 1991 1992 1993 Cooling systems Mercedes 126 Series 1981 1982 1983 1984 1985 1986 1987 1988 1989 1990 1991 1992 1993 Fuel & Exhaust Mercedes 126 Series 1981 1982 1983 1984 1985 1986 1987 1988 1989 1990 1991 1992 1993 Ignition & electrical Mercedes 126 Series 1981 1982 1983 1984 1985 1986 1987 1988 1989 1990 1991 1992 1993 Wheels & tyres Mercedes 126 Series 1981 1982 1983 1984 1985 1986 1987 1988 1989 1990 1991 1992 1993 Steering Mercedes 126 Series 1981 1982 1983 1984 1985 1986 1987 1988 1989 1990 1991 1992 1993 Suspension Mercedes 126 Series 1981 1982 1983 1984 1985 1986 1987 1988 1989 1990 1991 1992 1993 Wiring diagrams Mercedes 126 Series 1981 1982 1983 1984 1985 1986 1987 1988 1989 1990 1991 1992 1993 Troubleshooting Mercedes 126 Series 1981 1982 1983 1984 1985 1986 1987 1988 1989 1990 1991 1992 1993 Care and Safety Mercedes 126 Series 1981 1982 1983 1984 1985 1986 1987 1988 1989 1990 1991 1992 1993 Routine Maintenance Mercedes 126 Series 1981 1982 1983 1984 1985 1986 1987 1988 1989 1990 1991 1992 1993 Attachments Mercedes 126 Series 1981 1982 1983 1984 1985 1986 1987 1988 1989 1990 1991 1992 1993 Body and Framework Mercedes 126 Series 1981 1982 1983 1984 1985 1986 1987 1988 1989 1990 1991 1992 1993 Electric Mercedes 126 Series 1981 1982 1983 1984 1985 1986 1987 1988 1989 1990 1991 1992 1993 DTC Index Mercedes 126 Series 1981 1982 1983 1984 1985 1986 1987 1988 1989 1990 1991 1992 1993 General Information Mercedes 126 Series 1981 1982 1983 1984 1985 1986 1987 1988 1989 1990 1991 1992 1993 Engine Mechanical Mercedes 126 Series 1981 1982 1983 1984 1985 1986 1987 1988 1989 1990 1991 1992 1993 Engine Lubrication System Mercedes 126 Series 1981 1982 1983 1984 1985 1986 1987 1988 1989 1990 1991 1992 1993 Engine Cooling System Mercedes 126 Series 1981 1982 1983 1984 1985 1986 1987 1988 1989 1990 1991 1992 1993 Engine Control System Mercedes 126 Series 1981 1982 1983 1984 1985 1986 1987 1988 1989 1990 1991 1992 1993 Fuel System Mercedes 126 Series 1981 1982 1983 1984 1985 1986 1987 1988 1989 1990 1991 1992 1993 Exhaust System.